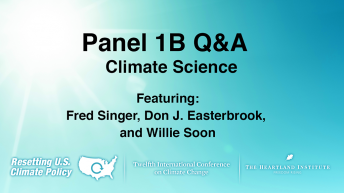 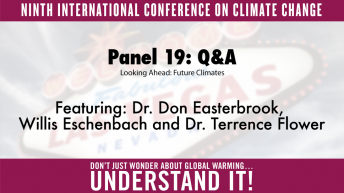 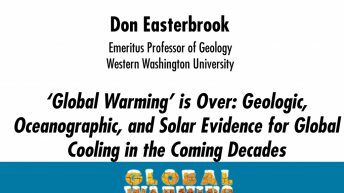 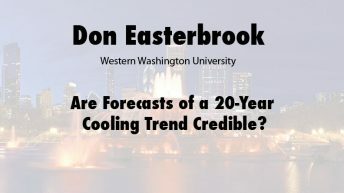 Don J. Easterbrook, Ph.D. is emeritus professor of geology at Western Washington University, where he has conducted research on global climate change in western North America, New Zealand, Argentina, and various other parts of the world for the past 48 years. 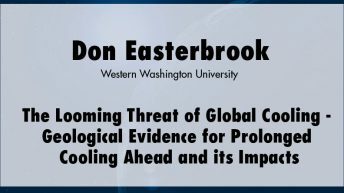 He has written three textbooks and several other books and about 150 papers in professional journals, and he has presented 30 research papers at international meetings in 12 countries. 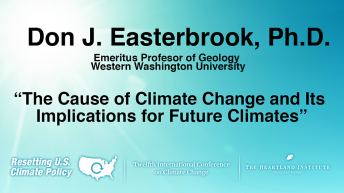 He is past president of the Quaternary Geology and Geology Division of the Geological Society of America, chairman of the 1977 national Geological Society of America meeting, U.S. representative to the United Nations International Geological Correlation Program, associate editor of the Geological Society of America Bulletin for 15 years, and director of field excursions for the 2003 International Quaternary Association Congress. 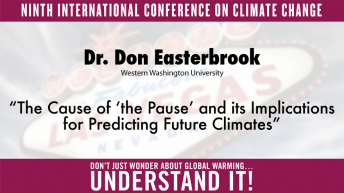 He has been featured in two New York Times articles on global warming (March 2007 and March 2009) and has appeared on national network shows at MSNBC, CNN, CBS, and FOX.